So you decide to have a cheat day every week. But what happens when you have just one cheat day a week? You are ‘food unhappy’ (unhappy food wise) 6 days and truly happy only on the cheat day! Eventually, even when you eat something you really like, you do not enjoy it, either because you are guilty that you shouldn’t be eating it at all or that you are eating way more than what you need. 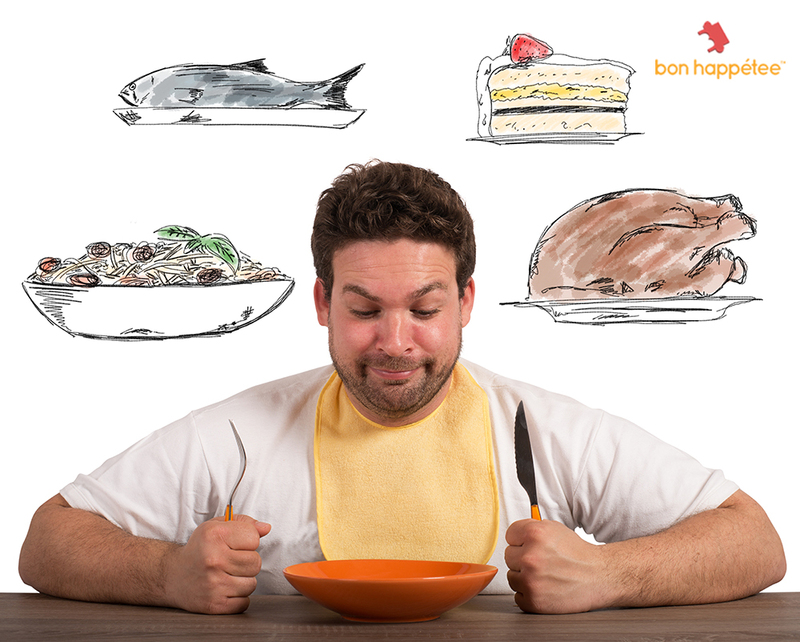 At Bon Happetee, we believe that your plate should be filled with food that makes you healthy and happy! 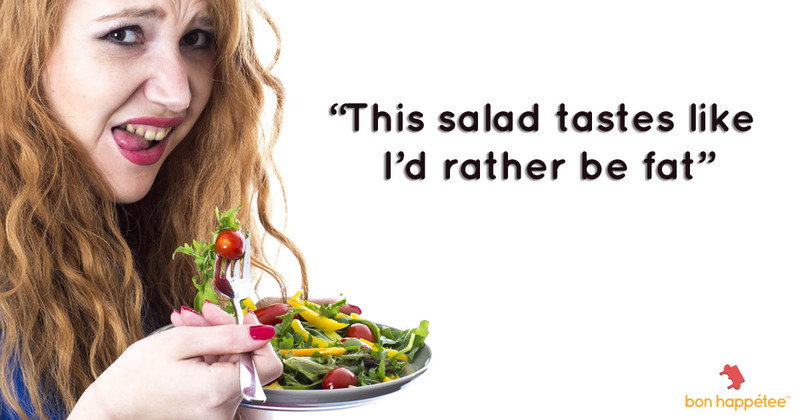 There is no such thing as good or bad food. All foods are good when eaten in the right amount at the right time in the right combination. Whereas the foods you thought were the healthiest of all, could still do damage when eaten in excessive quantity, and at an unreasonable timing. For instance, you need protein for muscle repair and other bodily functions, but an excess of protein will only burn out your kidney and get stored as fat in your body. However, for the sake of this post, let’s call the foods that you crave for, but are not part of your healthy eating plan as ‘cheat foods’. One cheat day a week? Often, when you are on a specific diet to lose weight, one day of the week is typically your cheat day; say Saturday. Generally, when a nutritionist tells you that you can have one cheat day a week, it does not mean you cheat at every meal. Typically, it means you can have one or two cheat foods (in moderation) that day while more or less following your general meal pattern. If you can do that, you are in the fast lane to attain your health goals! You overdo the ‘dieting’ hoping to lose weight faster. You are always in a crappy mood because the food isn’t satisfying. All you can do is think about Saturday, maybe even make a list of all the foods you wish to devour. When the much-awaited Saturday arrives, you are on an all-out binge party, eat everything you have been craving for and more. Your body who was just getting adjusted to low energy intake & is not prepared for overeating; it is confusing hence most of what you eat gets stored as fat. Result: You gain more fat despite eating healthy throughout the week. The next day you feel extremely guilty about the binge and fast yourself to undo the damage, but you know what, you can’t undo it. So eventual outcome: you don’t lose any weight and you made your body composition worse than before, you lost muscle and gained more fat. Extreme restrictions are not ideal or sustainable. We advise you not to fall prey to this vicious cycle. The goal should be an overall health improvement and hence the emphasis should be on eating healthy meals to meet your nutritional needs as opposed to only counting calories to incorporate more and more cheat foods in your diet. Hence, sticking to one cheat food per day and making sure your other meals are a healthy mix of calories and nutrients can work in your favour. This way, you don’t feel deprived and will do much lesser harm to your body, mind and achieve your health goals faster. Cheat if you must, but make moderation your best friend. 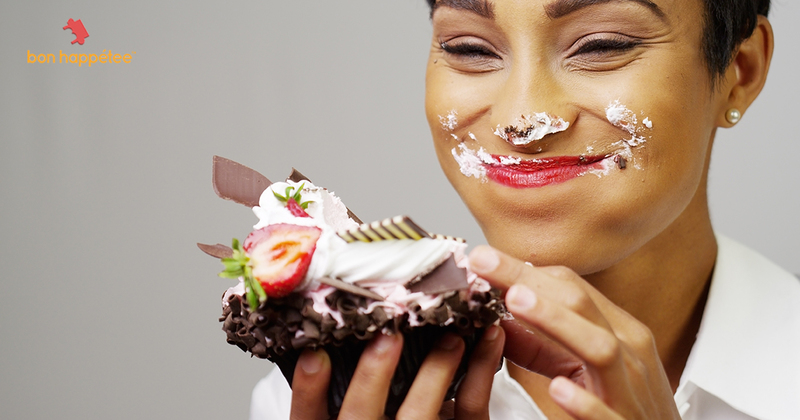 When we say every day can be a cheat day, we don’t mean you can have an all-out binge daily. Simply put, watch the portion sizes and eat in moderation. Stick to one cheat food per day and restrict amounts of whatever it is you are eating. E.g., have 1 piece of cake, not an entire cake, a slice of pizza and not the full pizza, have 1 – 2 of your favourite kaju-katlis and not the whole box. If you absolutely can’t resist some foods, use the ‘out of sight, out of mind’ rule. Serve yourself only one portion and hide the rest in a place that is inaccessible, e.g. higher shelves in a pantry. You may eat it as a reward when you achieve a certain set of goal for that fortnight or month. If you are that person who will go back looking for second servings no matter what, simply buy only one portion of it. Of course, It is best to simply avoid them. Timing is the key. Eat the ‘cheat foods’ earlier in the day. Typically, cheat foods will do you less harm if eaten as a mid-morning snack since the digestive system is more active earlier in the day. Do not combine them with a meal. Eat them on their own as a snack in between meals. Never skip your workout. Make exercise the most important part of your daily routine.